is probably a cape…or a capelet…or a poncho…or a shawl. I’ve been looking at accessories. 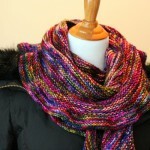 Fun to make, fun to wear, quick(er) to knit up. And since it’s SO FREAKING COLD right now, keeping myself insulated is a priority. Bonus points if I can wear them at work or at home too. So riddle me this…what’s the difference between a cowl, a capelet, a cape, a poncho and a shawl. Think you know? I thought so too until I started browsing Rav. I’ve decided there’s not a damned thing separating these. Case in point. I thought a cowl was more of a neck warmer? Progression Cowl – doesn’t this look strikingly similar to the capelet to the left? Quatrain (cape) – ok I think I figured it out. A cape is longer. No, it’s the same length as the left one. A cape has a turtleneck. Damn that left again. I’m starting to lose steam here. Let’s look at another set. Appia (cowl) – maybe it’s a cowl because she’s not wearing it pulled down over her shoulders? Winter Capelet – I love this one but I can’t make sense of it. Winter but it has a wide neck and lace. I give up. 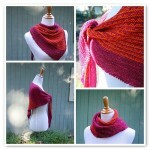 Soft Shoulder Cowl/Shawl – this designer just gave up with the name. 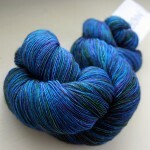 Funny thing is this is what I think of when I think capelet – not cowl nor shawl. Regardless of the names I love this accessory. Or is it garment. Maybe outerwear? shawls, scarves and cowls cape, capelet, cowl, poncho, shawl. permalink. Hmmm. Tricky. I myself have pondered long and hard on shawl vs shawlette. Also triangle scarf vs shawl. Ha. In most ways it doesn’t matter to me, but it became a challenge when searching in Rav. It was clear that designers called the same item several different things. You have hit on a pet peeve of mine. To me, a shawl covers your arms, all the way past your elbows. You can actually snuggle up in a shawl. But the things people are calling shawls are really scarves. When did this happen? I guess I got old all of a sudden. capelet = a shoulder-hugging tube, much wider than a cowl. I think of most of those things you pictured as capelets. cape = another shoulder-hugging garment but more like a shawl (worked flat) that is tied or toggled closed. Not knit as a big tube. shawl = triangular, crescent, or semi-circle piece of knitting worked flat and not attached to itself in any way. None of those things you pictured are shawls. 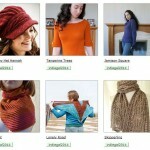 I would probably call everything you pictured a capelet, except for the Appia cowl. My two cents! Nice summary – I tend to agree with you! 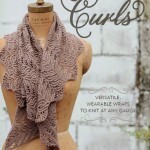 I’d add that a shawl can also be rectangular in my book. Or is that a stole?